It's official. And it's personal. Media veteran and present day chief operating officer, BTVI, Monica Tata -now Megha Tata- spoke to us, confirming her brand new name, "I am the same person; it's just... old wine in a new bottle," she laughs. "It was last year that I decided to change my name; the paper work took some time, but yes now I have an Aadhar card as Megha Tata so I am officially Megha Tata," she adds. But why did she change her name? She fielded the question but divulged nothing. "There is no story behind it... it is a totally personal decision," Tata says. Tata was managing director, South Asia, HBO, before joining BTVI. She has also had stints at Turner International and Star India. As reported previously, after graduating from Mumbai's Narsee Monji, Tata worked at Dalmia Group; the company, at the time, wanted to launch a video magazine called India View. This was in 1989, a few years before the satellite TV boom. Her job was to get people to subscribe to the magazine. Soon, Tata got into ad sales. The company was soon merged with a Delhi-based Sunday newspaper (Sunday Mail) and Tata started working on ad sales, in print. After that, her career took off in a big way, when a serendipitous call changed the course of events for her. Read Tata's full profile here. 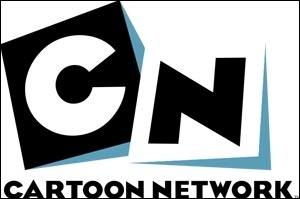 Cartoon Network Debuts Fresh Look: "It's a Fun Thing!"